Effective and meaningful professional development for school districts seldom happens by chance. However, recent movements in professional development are relying more on choice and chance. Does your district use a “Genius Hour” or “Ed Camp” model for professional development? Find out how largely relying on these models for professional development in school districts can be masking larger issues related to effective practices in organizational change. This podcast episode’s guest is Ross Cooper. Ross is a Twitter Jedi and the supervisor of instructional practice in the Salisbury Township School District in Allentown, PA. Ross has been recognized as an Apple Distinguished Educator, a Google Certified Teacher, and identified as one of the top education gurus to follow on Twitter. Ross assists his district and others around the country with curriculum and unit design, inquiry-based learning, assessment and grading, and quality professional development (which is today’s topic). You can find Ross on Twitter using the Twitter handle @RossCoops31 or at his website where he regularly provides great content related to his areas of passion in education at rosscoops31.com. I found Ross after reading his widely read article Cheesecake Factory Professional Development that challenges the approach that many school districts are adopting related to professional development. It reminded me of an article I wrote a few years ago on the topic of professional development for school districts titled What’s the Point of Training and Professional Development? Use the media player at the top of this post to listen to this episode or you can subscribe to the K12 HR Solutions Podcast on iTunes. 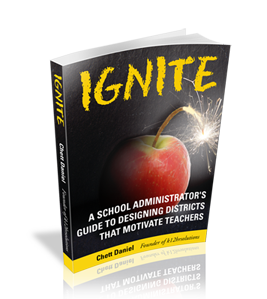 Ross and I have collaborated to provide a free resource for school leaders who want to plan meaningful and focused professional development for school districts. 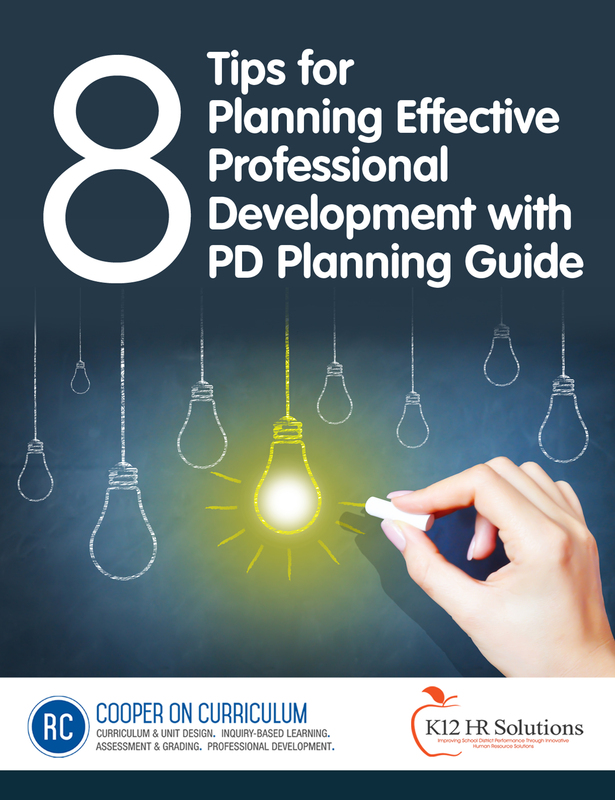 This resource includes 8 Strategies for Planning Effective Professional Development and a Professional Development Planning Guide. Use the button above to download a free copy. Common mistakes many districts are making in “Genius Hour” or “Ed Camp” models of professional development. An overview of Ross Cooper’s article Cheesecake Factory article. Effective methods to evaluate the effectiveness of professional development for school districts efforts (beyond opinion surveys).